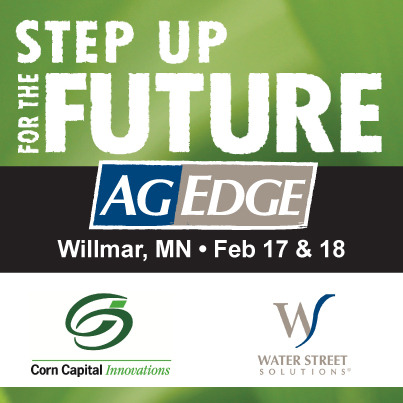 Corn Capital Innovations is excited to be co-sponsoring the Ag Edge Farm Business Seminar with Water Street Solutions on February 17-18th, 2014 in Willmar, Minnesota. To have a conference of this caliber right in your own backyard is something you don’t want to miss! Attending Ag Edge will provide you with a lot of usable content on a variety of topics that you deal with every year. Imagine getting quality information that will take your farming business to the next level, plus actual ideas that you can put to use immediately! Learn from CCI’s own Scott and Steve O’Neill at the Agronomy Round Table. Do you plan on attending the more than eight learning sessions and upgrading your competitive advantage?